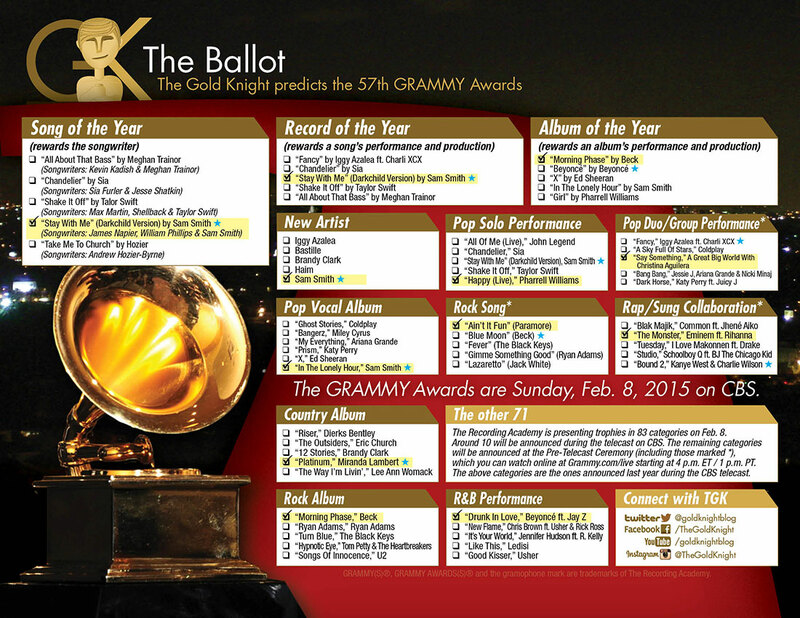 Our team has made its picks for the 57th GRAMMY Awards. Find all of them here in our handy GRAMMY Ballot. Feel free to download the ballot, print it out and pass out during your party (go here to download the PDF). It's in glorious color. 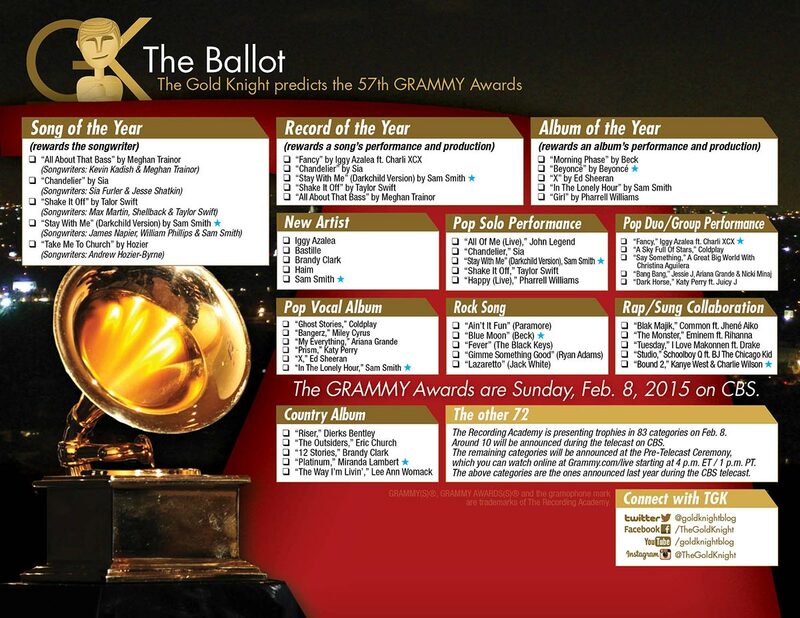 Our team has made its picks for the 57th GRAMMY Awards. Find all of them here in our handy GRAMMY Ballot. Feel free to download the ballot, print it out and pass out during your party (go here to download the updated PDF). It's in glorious color. We also have included definitions for Song, Record and Album of the Year because those categories can be confusing. The Recording Academy is preparing to present trophies in 83 categories on Sunday, Feb. 8. Around 10 will be announced during the telecast on CBS. 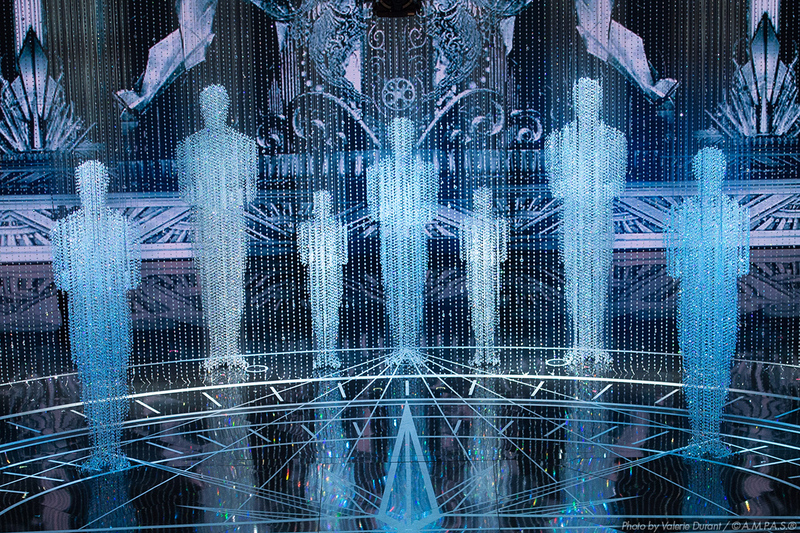 The remaining categories will be announced at the Pre-Telecast Ceremony. Watch it online at Grammy.com/live starting at 4 p.m. ET / 1 p.m. PT. NOTE: The categories on our original ballot are the ones presented last year during the ceremony. The Grammys doesn't announce which categories will be announced live. Download our updated ballot here. Find the full list of nominations and winners here. The 57th Annual GRAMMY Awards will take place live on Sunday, Feb. 8 at Staples Center in Los Angeles and will be broadcast in high-definition TV and 5.1 surround sound on the CBS from 8–11:30 p.m. (ET/PT).